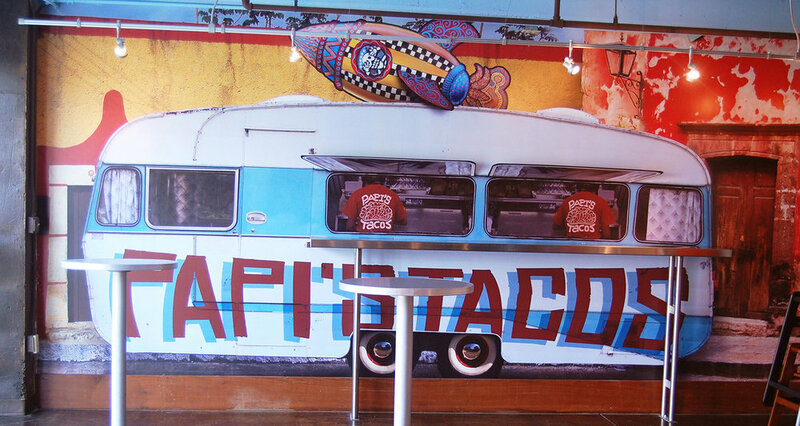 Papi’s Tacos could be described as a “food truck without wheels”. The menu is short and simple. 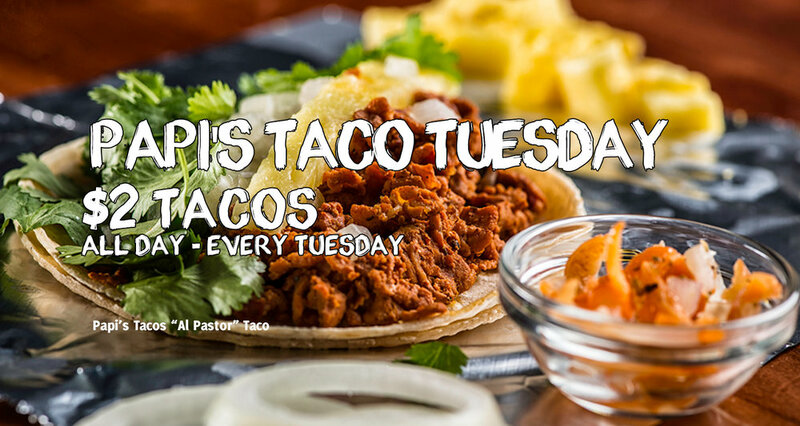 Tacos, tortas, salsas and dips - all made using the same authentic flavor combinations that “Papi” and his family grew up learning to use (yes, there is a real Papi!). Fresh ingredients, handled with care and love, make all the difference. Easy to order and take to go. Our tacos are the kind that Papi and his family enjoy at home. 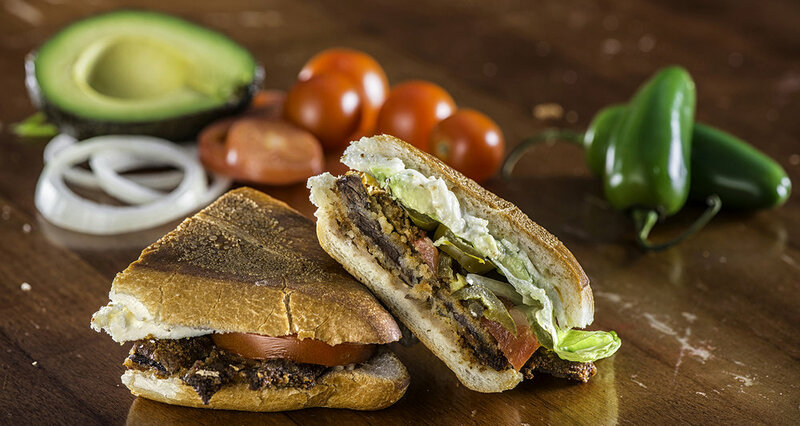 Tortas are so simple yet packed with so much flavor in an easy carry out sandwich. A selection of house made salsas, bean dip and guacamole to round out a quick meal or snack. Throw in a few traditional Mexican beverages and you’re good to go! Stop in and try a taco or two for yourself. Or, be nice and get a bag full for your office. Either way, you’ll feel you’re eating with family. Tacos for a Group? Papi's Caters! Service and Delivery fees apply. Custom menus also available! Jorge "Papi" Barrales has been with Table 301 since the beginning, joining the team just after Soby's New South Cuisine opened in 1997. He is one of only three current employees who has worked for Table 301 since the beginning. Now, he brings the cooking traditions of his family to Papi's Tacos, sharing the flavor of his heritage with Greenville diners. He started as a dishwasher and just a few weeks later he was moved to the kitchen prep team. He has the distinction of being the maker of the customer favorite Soby’s Garlic Cheddar Biscuits. It is his skill that has made the biscuits famous. When Table 301 opened The Lazy Goat in 2007, Barrales joined the kitchen team there and did double duty by working for The Lazy Goat in the mornings and Soby’s in the afternoons. Cooking was a family tradition in both Jorge’s and his wife’s families. Weekends centered around getting everyone together and cooking, often under the watchful guidance of both his mother and mother in law, to ensure the resulting dishes were “up to their standards.” Everything was made from scratch, with each person adding a little of their own personality to the recipes. This led to a long list of family recipes that take both sides of his family’s traditions and techniques into account. Barrales knew that the United States was where he wanted to stay, so he hatched a new plan to return. He had some family in Greenville, SC and moved there alone to find new work. In the mid-1990s, after about a year in Greenville, he had saved enough money and was able to bring his wife, son and new daughter to join him. He and his family have had the desire to open a restaurant of their own for a while. Carl Sobocinski, the owner of Table 301, recognized this and felt there may be an interim step that would benefit both Jorge and Table 301 – to work together on a simple concept called Papi’s Tacos, a quick service taqueria that would fit into an existing unused space beneath The Lazy Goat. A year or so later, Papi’s Tacos became a part of the Table 301 restaurant family, opening in August 2013. Papi’s Tacos could be described as a “stationary taco truck”. The menu is short and simple. Tacos, tortas, salsas and dips are all made using the same authentic flavor combinations that “Papi” and his family grew up learning to use. In true Table 301 style, the taqueria offers fresh ingredients, handled with care and love. Working at Table 301 is a family affair for Barrales. His son, Jorge Barrales, Jr. has worked for the company for eight years, also working his way up within the organization. He started at Soby’s as a food runner, then later became an assistant manager and has for the last 3 years been a member of the management team at The Lazy Goat. Jorge, Jr. now adds helping out his dad at Papi’s Tacos to his list of management responsibilities. The New South: Cuisine, Hospitality and Table 301, AAA Carolinas, July 2018. Read. Battle of the Mexican Sandwiches, Men’s Journal, Read. 50 delicious taco destinations across America, USA Today, October 4, 2016. Read. Restaurant Week, The Greenville News, January 5, 2015. Read. "55 Ways to Celebrate Cinco de Mayo", USA Today, Monday, May 4, 2015. Read. "Papi's Tacos: A Stationary Food Truck", PlateofView.com, January 9, 2014. Read. Papi's Tacos, The Reedy Review, September 24, 2013. Read. What smaller operators can teach big chains, Restaurant Hospitality, January 16, 2018. Read. 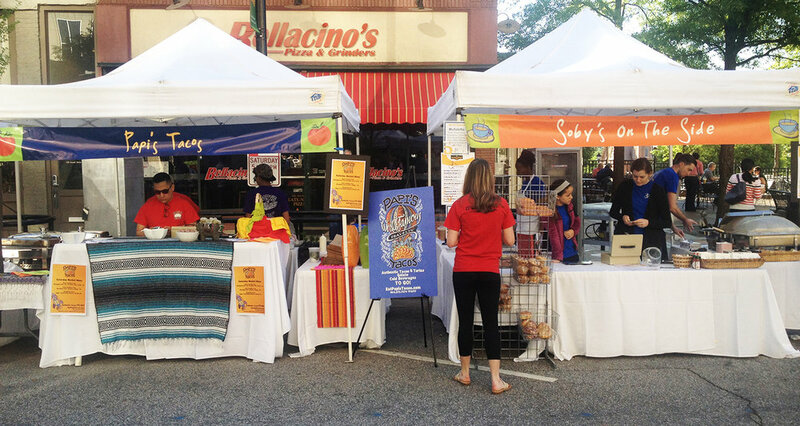 Papi’s Tacos: Try a taste of Mexico, Upstate Parent, May 2, 2016. Read. How to Create the Most Epic Taco Bar Ever, FabFitFun, October 4, 2016. Read. Hospitality Rules, Food News Feed, January 15, 2015. Read. "Fall for Greenville", Fox Morning News, October 10, 2014. View. "It's Easy to get a Taco to go at Papi's Tacos", DiscoverSouthCarolina.com. November 3, 2013. Read. "Papi's Tacos Opens this Weekend", Off the Menu: The Greenville News, August 29, 2013. Read. *Please note we are closed on Mondays during the cooler weather months. We're right on the River Walk, along the banks of the Reedy River, underneath The Lazy Goat. Give us a call at 864-373-7274 (PAPI) or email us. Join us on Thursday, April 11th for the fourth in the series “Papi's Club de Cena”, a seated dinner featuring Papi’s favorite authentic dishes paired with wines or specialty cocktails. The intimate event at Papi's Tacos will showcase dishes featuring some of Papi’s favorite recipes and flavors. For this dinner, a portion of the proceeds from ticket sales will support the Hisplanic Alliance. The event starts with 6:00 arrival and 6:30 dinner. The dinner is $78 (and includes tax AND gratuity). Click here to purchase tickets!